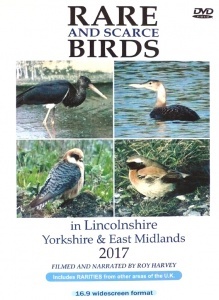 2016 was truly exceptional for the arrival of extreme rarities in Britain and was always going to be a difficult act to follow, however, 2017 also produced many unexpected and well-watched birds. 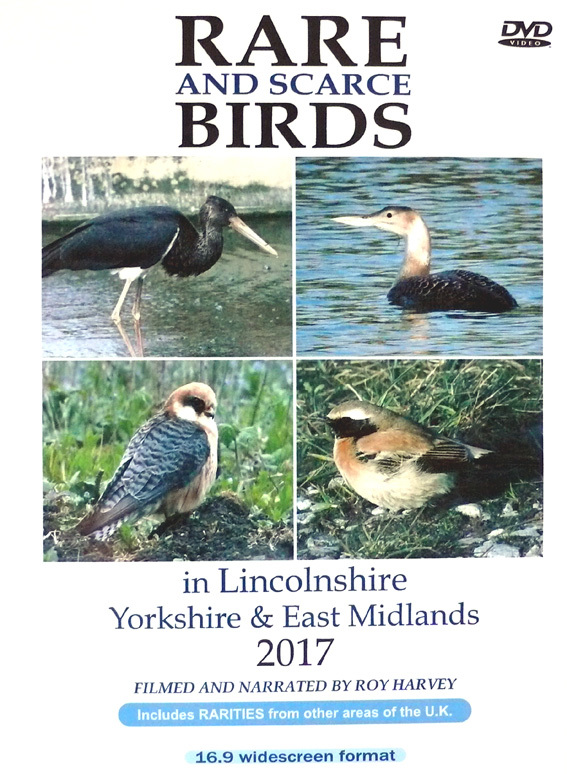 Once again Lincolnshire attracted some excellent sightings throughout the year including the White-billed Diver in the Stixwould area, Bluethroat at Willow Tree Fen, Black Stork at Dunsby Fen, Caspian Tern at Baston/Langtoft Gravel Pits, White-winged Black Tern at Far Ings, Long-billed Dowitcher at Saltfleet, White-rumped Sandpiper at RSPB Tetney Marshes and the probable Mandt's Black Guillemot in the Witham mouth. Yorkshire produced its usual crop of rarities with the Black-throated Thrush at Adwick Washlands getting the year off to a good start. Then followed the extremely popular Pine Bunting at Dunnington. Good birds continued to arrive during the summer, including the Sabine's Gull at Nosterfield, both Buff-breasted Sandpiper and White-rumped Sandpiper at Kilnsea, Pacific Golden Plover at North Cave Wetlands, plus the Caspian Tern at Astley Lake. A Western Bonelli's Warbler at Easington in August was an unexpectedly early arrival. A Long-billed Dowitcher at Kilnsea turned up right on time for the 'Migfest' and there was a fine adult male Red-breasted Flycatcher at Spurn later in the month. The best bird for the Spurn regulars was the area's first Lesser Yellowlegs which arrived in December. Also arriving at the end of the year was the lovely Desert Wheatear at Whitby. Elsewhere, the Surf Scoter at Rutland Water in January was a surprise and in the same month a Pacific Diver in Northumberland showed very well at times. April will be remembered for the stunning male Pallid Harrier at the Forest of Bowland and RSPB Fen Drayton attracted a delightful female Red-footed Falcon in May. Black-winged Stilts bred in several areas and juveniles have been filmed in Britain for the very first time. Nottinghamshire had a huge influx of birders for the nesting Bee-eaters at East Leake and Belvide Reservoir in Staffordshire hosted a Spotted Sandpiper for the third occasion, with an American Black-crowned Night Heron being a very long-stayer at nearby Shrewsbury. One of the major sightings of the year was the Elegant Tern in Sussex, closely followed by Scops Owl at Ryehope and the cracking Rock Thrush in Gwent! The Scillies enjoyed one of it's best autumns in recent years and the summary includes Eastern Orphean Warbler, Cedar Waxwing and Rose-breasted Grosbeak along with a delightfully obliging American Golden Plover. All of the above birds, and much more, are included in this two-disc DVD set which has a total running time of 208 minutes. The usual narration provides information for each sighting. 1. Surf Scoter, Rutland Water, Leics. – Jan.
2. Great White Egret, Kirkby Pits, Nth. Lincs. – Jan.
3. Ring-necked Duck, Kirkby Pits, Nth. Lincs. – Jan.
4. Glaucous Gull, Kirkby Pits, Nth. Lincs. – Jan.
5. Black-throated Thrush, Adwick Washlands, South Yorks. – Jan.
6. White-billed Diver, Stixwould, Lincs. – Jan.
7. Pacific Diver, Druridge CP, Northumberland. – Jan.
8. Eastern Black Redstart, Skinningrove, Cleveland – Jan.
9. Long-tailed Duck, Mablethorpe, Lincs. – Jan.
10. Waxwings, Doncaster, South Yorks – Feb.
11. Bluethroat, WillowTree Fen, Lincs. – Feb.
12. Great Grey Shrike, Deeping High Bank, Lincs. – Feb.
13. Great White Egret, Deeping High Bank, Lincs. – Feb.
14. Long-tailed Duck, Deeping High Bank, Lincs. – Feb.
15. Pine Bunting, Dunnington, Yorks. – Feb.
2. Pacific Golden Plover, North Cave Wetlands, Yorks. – July. 8. Rose-coloured Starling, Scarborough, Nth. Yorks. – Aug.
9. Western Bonelli’s Warbler, Easington. East Yorks. – Aug.
10. Pectoral Sandpiper, RSPB Frampton Marsh – Aug.
11. Hoopoe, Loughborough, Leic’s, – Aug.
12. Greenish Warbler, RSPB Bempton Cliffs – Aug.
13. White-rumped Sandpiper, RSPB Tetney Marshes – Sept.
14. Great White Egret, RSPB Frampton Marsh – Sept.
15. Long-billed Dowitcher, Kilnsea, East Yorks. – Sept.
16. Wryneck, Kilnsea, East Yorks. – Sept.
17. Least Sandpiper, RSPB Lodmoor – Sept.
18. Wryneck, Portland, Dorset – Sept.
19. Long-billed Dowitcher, Saltfleet, Lincs. – Sept.
20. Red-backed Shrike, RSPB Bempton Cliffs – Sept.
21. Red-necked Phalarope, Covenham Res., Lincs. – Sept.
22. Red-backed Shrike, Giraltar Point, Skegness, Lincs. – Sept.
23. Grey Phalarope, Worsbrough, Sth Yorkshire – Sept.
24. Red-necked Phalarope, Alkborough., Lincs – Sept.
25. Red-breasted Flycatcher, Spurn, East Yorks. – Sept.
26. Scops Owl, Ryhope, Durham – Sept.
27. Red-backed Shrike, Easington, East Yorks. – Oct.
28. Rose-coloured Starling, Easington, East Yorks. – Oct..
29. Great Grey Shrike, Easington, East Yorks. – Oct.
30. Scilly Isles summary – Oct.
31. Pectoral Sandpiper, Covenham Res. Lincs. – Oct.
32. Rock Thrush, Blorenge, Gwent – Oct.
33. Great Grey Shrike, Owthorpe, Notts. – Nov.
34. Red-necked Phalarope, Covenham Res. Lincs. – Nov.
35. Hawfinch, Castle Howard, North Yorks. – Nov.
36. Green-winged Teal, RSPB Blacktoft Sands – Nov.
37. Purple Sandpiper, Covenham Res. Lincs – Nov.
38. Lesser Yellowlegs, Kilnsea, East Yorks. – Dec.
39. Mandt’s Black Guillemot, Witham Mouth, Lincs. – Dec.
40. Desert Wheatear, Whitby, Nth. Yorkshire – Dec.